Great news for those of you swept up in the Star Trek hype now that the movie has had its $76.5 million opening this weekend; Amazon will feed your consumerist urges and let the good Trek times keep on rolling. Amazon has all of the Star Trek TV series DVDs on sale for up to 47% off until May 15. 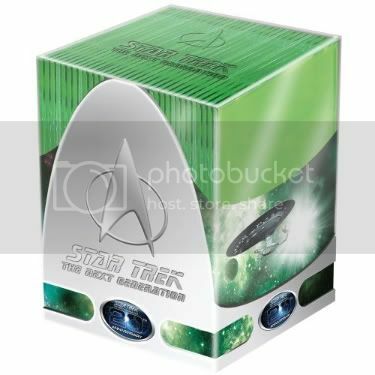 You’ll find complete seasons, fan collectives, and even complete-series boxed sets for the remastered Original Series, The Next Generation, Voyager, Deep Space Nine, Enterprise, and even the friggin’ 1973 animated series. Shop the Star Trek sale on Amazon. Ends this Friday, May 15. Please don’t talk to me about the Star Trek movie. The movies are on sale too, but it looks like the majority of them have been “discontinued by the manufacturer.” What the hell is up with that?!?! Grow up, the Trek movie was amazing.